Kelly Bentley joined the Michigan Department of Education in June, 2015 as the Project Manager for the Early Learning Challenge grant. She is responsible for leading cross-agency efforts to provide high quality early learning and development opportunities for children age birth to five. 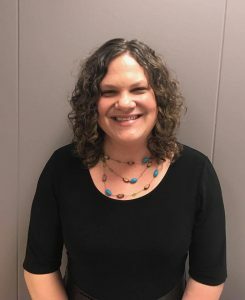 She works in close partnership with the Michigan Department of Health and Human Services, the Early Childhood Investment Corporation, and the Michigan Association for the Education of Young Children implementing a range of activities within the grant, such as leading innovative efforts around family engagement. Prior to working for state government, Kelly spent over 15 years working with children and families, including as an administrator of a non-profit organization providing mentoring opportunities for disadvantaged children and youth. Note to readers: Given the importance of high quality early learning opportunities for young children with disabilities, OSERS will periodically highlight voices from the broader field of early learning in our blog. ED: How did you begin your career in early learning/early childhood? Kelly: I am relatively new to the early childhood field. I graduated from college with a degree in counseling and knew that working with children and families was my primary interest. I had the opportunity to work with adjudicated youth and their families and with Big Brothers/Big Sisters as a case manager. After a few years under my belt I saw there were larger issues causing these families to struggle. Gradually I moved more into administration and became interested in systems change and the school to prison pipeline, and went back to school to earn my Master’s in Social Work (MSW). 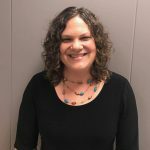 Through my MSW program, I interned at the Michigan Department of Education, focusing on issues related to suspension and expulsion, including the development of social emotional learning standards for the state. Through all of my experiences I grew to believe that it is so critical to intervene early with at-risk children and struggling families. Our systems and programs are set up to be so reactive; instead we need to shift our attention and invest more in prevention. That is why I believe focusing on high quality early learning opportunities is so important. There is a direct tie between early childhood experiences and whether kids are proficient in reading by the end of third grade. ED: Why do you and your state believe that family engagement is so important in early learning/early childhood? Kelly: The Michigan Department of Education has a goal of our public education system becoming one of the top 10 educational systems in the country within 10 years. Family engagement is a core component of the strategy for getting us there. Our Office of Great Start, which is our early learning office within Michigan’s Department of Education, has a long history of emphasizing the importance of family engagement. One of our core values is that families are primary to all children’s growth and development, so family engagement has always been central to our work. We’ve had a long history of engaging stakeholders, including providers and families, in every aspect of our work and the various programs we oversee. Family engagement is part of the culture of our office and we’ve had strong leadership that values promoting meaningful family engagement for early learning programs, and ensures we are being intentional with engaging families in the work at the state level. ED: What are the strategies your state is using to promote family engagement in early learning? Have you experienced any challenges to implementing these strategies? Kelly: We look for multiple opportunities to engage our stakeholders, including families. We have an advisory council that meets regularly and helps to guide our work, and this council includes families. An instrumental report, Great Start, Great Investment, Great Future: The Plan for Early Learning and Development in Michigan, was developed in 2013 with significant input from stakeholders, including parents with young children, and this has been foundational to our comprehensive state plan for early learning and development. Michigan has helped develop an infrastructure to gather meaningful input from the field, and also to promote the importance of family engagement at the local level—we have 54 local Great Start Collaboratives that are connected to intermediate school districts and include one or more Great Start Parent Coalitions. These have been in place the last 10 years! The parent voices have been critical to the local Great Start Collaboratives and ensure strong Great Start Parent Coalitions. As part of the the launch of the Parent Coalitions, parent liaisons from the Great Start Collaboratives worked specifically with community parents of children birth to kindergarten entry to identify ways to improve their community. More recently, through funding from the Early Learning Challenge grant, we are developing “Trusted Advisors.” The 60 statewide Parent Coalitions can apply for $5,000–$60,000 (depending on the strategies they propose) to work with their local community and to identify Trusted Advisors—individuals who are connected to local families and may have inroads to help reach the hard to reach families. In their applications, Parent Coalitions are looking at their local data to identify their high risk populations, asking who are the families that aren’t connected to our early learning efforts?, what are the community’s strengths?, and what’s already in place that we can build on and engage these families in meaningful ways both in the learning and development of their young children and in the local early learning programs? We believe that relying on the local communities to generate strategies for how to engage the hardest to reach families will be the key. We know that trust is so important, so if we can identify the right individuals or organizations in a community to help us reach families, we will be much more successful. We are also in the process of hiring eight “Family Engagement Consultants” that will be trained in the Strengthening Families™ approach. These consultants will be available to early learning programs and will provide training, tools and techniques for improving family engagement. These consultants are starting with parent and community cafés (invited gatherings) for some of our unlicensed providers (family, friends or neighbors enrolled to receive our child care subsidy) helping them to build partnerships with families. Another effort we have underway is working collaboratively with Michigan’s Department of Health and Human Services (DHHS) to ensure that their Pathways to Potential Success Coaches (eligibility specialists placed in schools) are trained to understand the importance of family engagement, and to view families from a strengths-based approach. The Success Coaches are on the front lines working with families to determine if they are eligible for various social programs, including the child care subsidy. They often don’t have backgrounds in family-centered services but because of their important role, they have the opportunity to help empower families. We are working with DHHS to develop an on-going training model to ensure these folks understand the importance of family-centered services; it is really about shifting the mindset, and understanding how empowering families ultimately helps the child. ED: What recommendations do you have for other States or communities interested in promoting family engagement in early learning? Kelly: Coming from an organization that has been upholding family engagement as a core value for the past 20 years, I think it is important to develop a culture that sees family engagement as crucial to the work, that it shouldn’t just be a box to check, or a step in the process. Seeing families from a strengths-based lens, and valuing their role and their input, will help programs build meaningful partnerships with families around individual children and the administration of local and state programs. Another recommendation is to engage families early so the family-school partnership transcends their child’s educational experience. Be sure you build family engagement into your early childhood program standards, and then build them into your Quality Rating and Improvement System. The time and attention that we spend on planning for, and ensuring, family engagement should be equivalent to the time and attention programs spend on planning for other critical pieces of early learning, such as curriculum, facilities, assessment, etc. One of the challenges to this work is ensuring funding for the development and implementation of strong family engagement plans, and this is where cross-agency collaboration, public/private partnerships, and innovation can help.